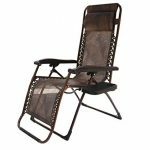 Zero gravity chairs are popular for providing its users absolute comfort. It comes in different types, designs and sizes and no matter what type, design or size you choose, it will always provide you comfort. All you have to do is to sit back, relax, recline your body and let all the tension and stress slip away from your body. If you wish to purchase a zero gravity chair, the first thing you will need to consider is where you plan to put your chair. This is important as you will need to consider if you will get an indoor version or outdoor version. These two differ in terms of the materials used in creating these chairs. Indoor chairs were made with the consideration of matching it with your other furniture while outdoor chairs are made with materials that will withstand outdoor elements. Another factor you will need to consider is how often you will use the chair. If you will be purchasing a zero gravity chair for medical reasons, then you will have to invest on a high quality chair. 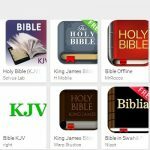 With these few considerations in mind, depending on your needs and requirements, we made a list with our few suggestions that you could choose from. 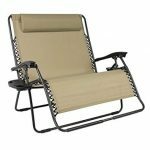 This chair is the best outdoor overall zero gravity chair. It is created with steel frame powder coated fabric that is weather resistant. A feature that makes this chair great for outdoors. 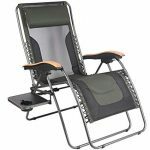 AmazonBasics zero gravity chair has a double bungee support that connects weather-resistant fabric to its steel frame. Its fabric is made of Textilene that makes it very durable and sturdy. With its sturdy support, this chair could accommodate up to 300 pounds. However, take in mind that this chair could be a little heavy. 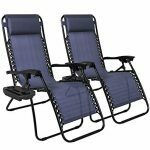 The AmazonBasics is perfect for both reclined and sitting upright positions. It ensures maximum comfort that a curved armrest with a headrest could give. This chair is not suitable and recommended for indoor usage. The Le Papillon Zero Gravity Chair comes with a suede removable cushion that provides comfort and serves as an insulator. This chair could be used on outdoors and indoors as well. It is recline-able and is made of steel frame – coated silver which not only makes this chair durable but beautiful as well. Its cushion is placed on the chair through its straps which provides anti-skidding feature. This chair’s extra cushion makes this chair an indoor furniture that would definitely look it belongs inside your beautiful home. It also has a removable headrest and an adjustment knob that will lock your chair in place based on the reclining angle you choose. It is also easy to pack, stow and is a space saver. This chair is very extra- large in size which could accommodate not only huge sized but also very tall people. Akari comes with a canopy which serves as a protection for your face against sunlight. It also has a detachable holder for your drink, food, book or phone. It has a reclining position locking mechanism that will keep you in place and a detachable pillow headrest that will provide you comfort. The Akari comes in three different colors and these chairs are made of powder coated steel material that makes it durable, rust-free and waterproof. Though this chair is extra-large, it is still lightweight and is easy to store as well. If you are looking for a luxurious looking chair, then the Portal is for you. It is huge in size and it comes with a table where you could put your essential things. This chair is made of breathable mesh fabric that perfect for outdoors. It also comes with an adjustable and detachable sponge pillow. Portal is made of durable steel for its frame which provides absolute comfort and flexibility. It is lightweight, easy store and moveable as well. It is a space saver too and it has a locking machine that will keep your chair in a reclining position. This chair could accommodate up to 450 pounds. It is strong, durable and wide enough for two people. This chair is highly recommended for lovers. It has adjustable and removable headrest and a tray for your items. Moreover, this chair is created with elastic material that is UV resistant and is made huge enough for any type of body. Though this chair is large, it is lightweight and foldable. It is recommended for outdoor use and indoor use as well. It comes with three different colors- tan, orange and tan. A chair that is created in purple color, this chair looks great for display and at the same time provides comfort. It comes as two sleek chairs with cup holders, a place for your phone and a sunshade. Furthermore, this chair is made of durable steel frame and a UV resistant material. It has a knob that will lock your chair in place that ensures you absolute comfort. The Timber Ridge is one of the most unique chairs that ensures extra comfort. It is made of padded material and comes with a length of 72 inches. Hence, making it perfect for small framed individuals. 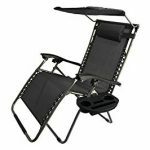 It has multiple reclining positions and a reclining lock mechanism that will keep your chair in place. Aside from that, this chair comes with a removable pillow that serves as a padded comfort. This chair comes in three colors- earth, blue and camouflage. As what its name says, this chair is specifically made for medical purposes. It is in fact, created and designed by a team of doctors, surgeons and specialists. It is built with comfort in mind. Hence, it has a built in body massager and a heating device. Its massage feature is customizable which gives you a choice of which area you would like to be massaged. As one of the creators of this chair is a chiropractor, this chair also comes with a chiropractic function that will stretch your back and squeeze you knees. This chair is highly recommended to alleviate pain and body aches. It is definitely worth the price. This chair is made specifically for the aged and for those who are recovering from surgery. Aside from it being recline-able, it could also work as a lift chair. 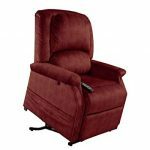 It could recline to different positions and has an adjustable footrest to help in one’s blood flow. Ameriglide has a two-tiered seat back, adjustable cushion for more comfort. It is best for indoor use and could blend nicely in your home. It comes in four colors- Chocolate, Bordeaux, denim, and putty. This chair is one of the most handsome modern looking zero gravity chair. It comes with a circular crisscrossed steel frames and is created with powder coated steel material. It is sturdy, durable and at the same time comfortable. The material and the pillow included in this chair are made of PVC which makes this chair convenient to lie and is very lightweight. This model comes in 6 different colors. such as reducing blood pressure and relieving pain. 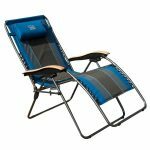 Depending on your need and your taste, you will need to consider the following before purchasing your own zero gravity chair. 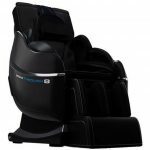 Your body type– Since the main purpose of purchasing a zero gravity chair is comfort, you will need to know if your body type matches the comfort of the chair provides. Does it fit you comfortably? Is your size right for the chair? How often you will use your chair – It does not make sense to purchase a chair that you will not use often. Will you use your chair as a permanent furniture? Will you use it indoors or outdoors? Portability – Since there is a huge chance that you will move your chair once in a while, it is best that you purchase a chair that is easy to move around. How fancy you want your chair to be? – Aside from its advantageous use and features, some would like to purchase these type of chairs for its aesthetics. If you will put the chair inside your home, then it will be important how fancy would you like for your chair to look like. 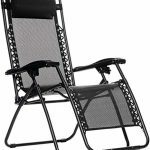 Purpose – there are different reasons why one needs to purchase a zero gravity chair. Some needs it for medical purpose some would need it for comfort. 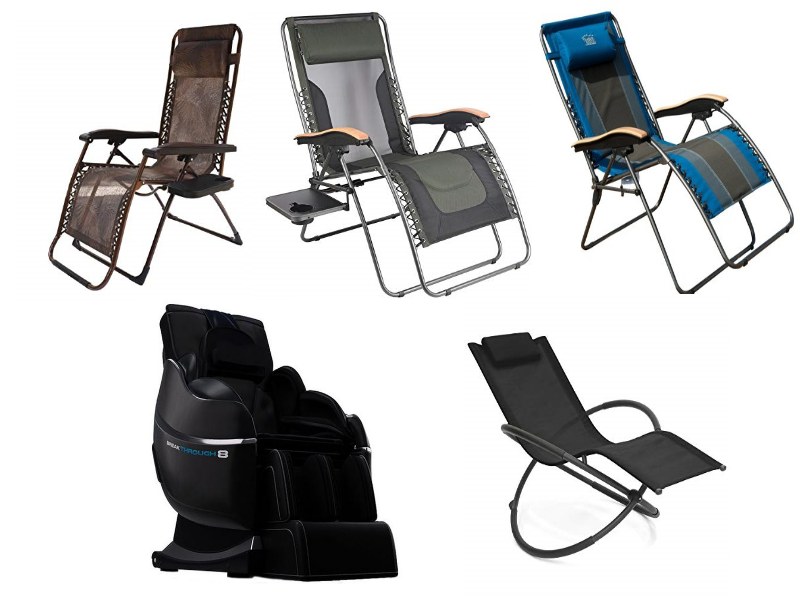 No matter what your reason is, it is important to know the purpose to know which type of zero gravity chair to purchase. Brand Name – Take note that brand name does not guarantee you it will come with high quality. 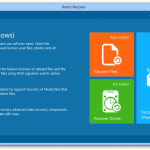 There are some brand names that do not offer the same performance as its price. So if you are on a tight budget, it is best to avoid branded names. Budget – as mentioned earlier, price does not dictate the performance of the chair. 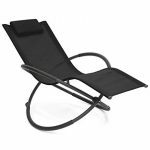 If you are on a tight budget, it will not be a problem as there are many cheap zero gravity chair that will provide you the best service and purpose. After a long day, all we want to do is relax and take away all the stresses that we were able absorbed the whole day. What more could we ask for with a personal Zero Gravity Chair? Purchasing the right zero gravity chair is definitely worth your money and investment.